Ennigerloh, Germany – The demand for technology for coating miniature tablets has recently been on the rise. As early as in 2009, L.B. Bohle was ​able to develop a slotted coater drum as part of a customer project. At that time, a customer needed a coater to film miniature tablets and pellets with a diameter of less than three millimetres – a requirement that conventional systems with standard perforation had not been able to meet. Miniature tablets have already been established as a dosage form for several years and offer the advantage that several tablets can be administered together if necessary to achieve the required individual dose. They are especially suited for multi-particle dosage forms as they can be individually and flexibly dosed. As a result, they can either be filled into capsules or sachets or applied with miniature tablet dispensers. Often the small cores are coated to provide sufficient stability. Besides functionality, swallowing as well as taste and odor are improved by the film coverings. L.B. 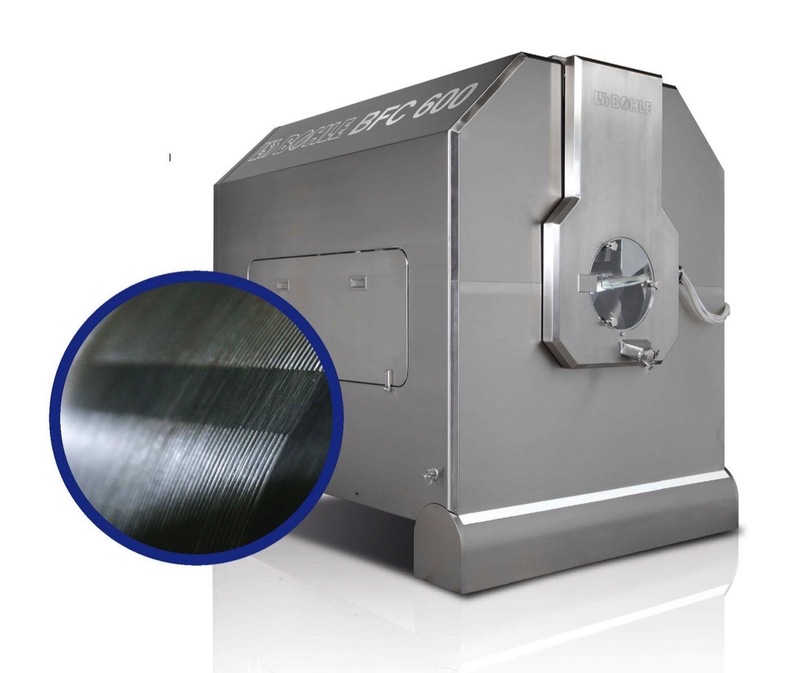 Bohle introduced the first Film Coater with a slotted drum in 2009. Unfortunately, miniature tablets are often very fragile. Due to the strong fluidization that is required in the fluid bed system, they can rub off and break easily. This is why in 2009 L.B. Bohle conceived its first slotted coater drum which treats small cores more gently. This drum comes with an appropriate perforation in which not only normal sized cores but also extremely small cores with a diameter of 1.5 millimetres can be coated. As a result, the system offers maximum flexibility and can be used for processing different particles. “In contrast to our competitors who want to sell this technology as a novelty, we have already built numerous systems with perforated coater drums on a laboratory and process scale and successfully installed them in the production shops of international manufacturers,” Tim Remmert, Executive Director of L.B. Bohle, points out with a view to Bohle’s competitive edge.